Looking for a truck that is safe enough to use when running around with your kids as it is on the jobsite? 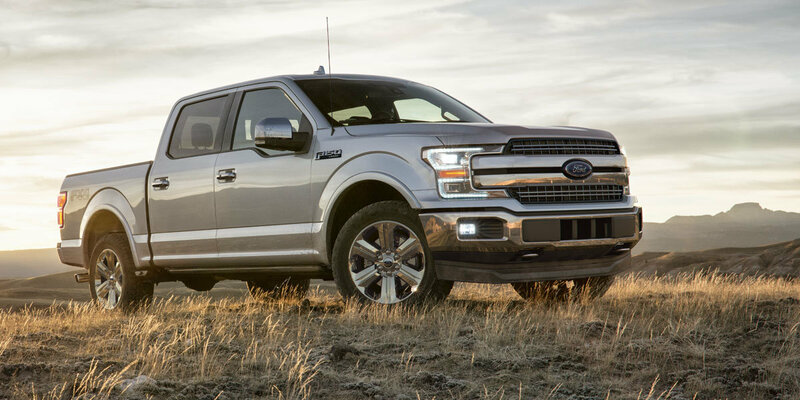 Look no further than the all-new 2018 Ford F-150, which received top marks for its safety features. 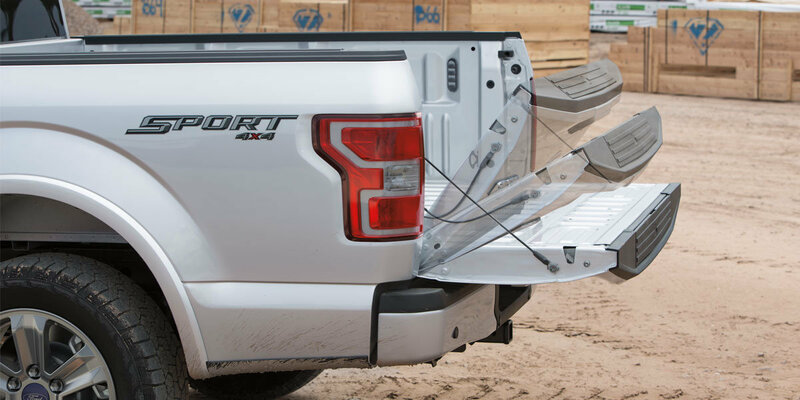 Not only can it tow and haul as much weight as you need, but you can rest assured that your passengers will stay safe too. Whitson Morgan is the top dealer of F-150 trucks in Clarksville, Arkansas. In addition to the classic safety features found on previous models, the latest Ford model comes with new features that work nicely with its luxurious interior, amazing towing capacity, and classic body design. Whether you are driving around Fort Smith, Russellville, or Ozark you will love these all-new safety features. 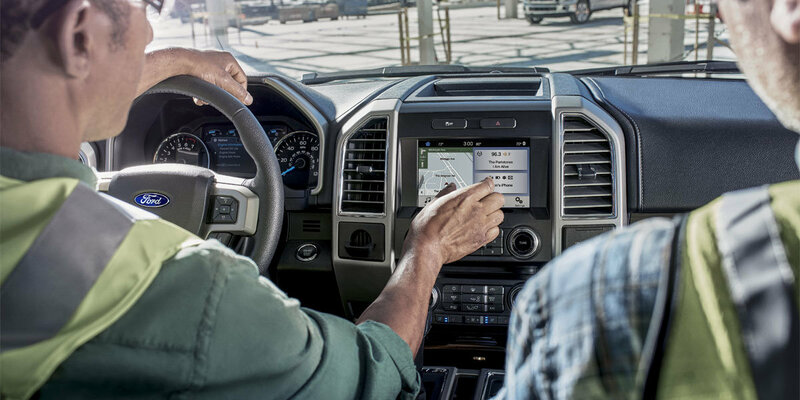 Ford truck shoppers can come in nearly any day of the week for a test drive. 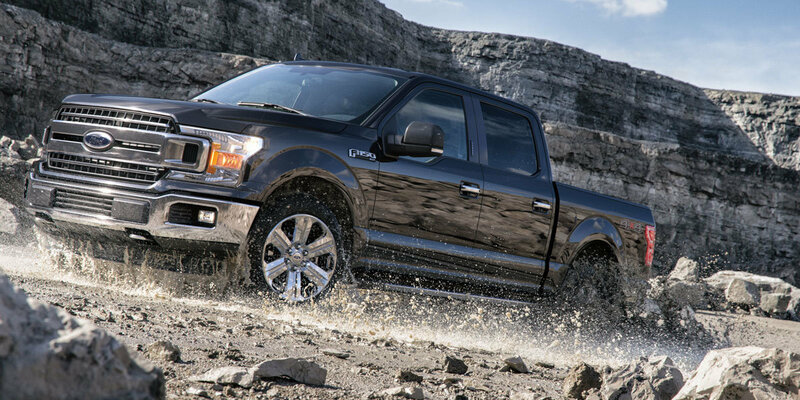 Visit our dealership to see the new Ford F-150 and check out its updated features. Instrument cluster screen size: 4.2 in. Instrument cluster screen size: 4.2 in. Instrument cluster screen size: 8 in. Instrument cluster screen size: 2.3 in. Instrument cluster screen size: 4.2 in. Instrument cluster screen size: 8 in. Instrument cluster screen size: 8 in. Instrument cluster screen size: 8 in. Infotainment screen size: 4.2 in. Infotainment screen size: 8 in. Infotainment screen size: 8 in. Infotainment screen size: 4.2 in. Infotainment screen size: 8 in. Infotainment screen size: 8 in. Infotainment screen size: 8 in. Includes 110v/400w outlet, overhead console, front map lights, power sliding rear window with privacy glass, and led box lighting. Includes aluminum dash panels, unique seat coverings with orange acents, and unique door and dash applique. Includes 3.31 electronic locking rear axle with 5.0l v8 engine or 3.5l v6 ecoboost engine, 3.55 electronic locking rear axle with 2.7l v6 ecoboost engine, 4x4 fx4 off-road decal, hill descent control, front and rear off-road tuned shock absorbers, and skid plates for fuel tank, transfer case, and front differential. Axle is changed to 3.73 electronic-locking differential if ordered with payload packages. Includes 17 x 7.5 inch silver painted aluminum wheels, body-color front fascia, chrome front and rear bumpers, and fog lamps. Includes 17 x 7.5 inch silver painted aluminum wheels, body-color front fascia, body-color front and rear bumpers, box side decal, and fog lamps. Includes 4-pin and 7-pin wiring, class iv trailer hitch receiver, pro-trailer backup assist, upgraded front stabilizer bar, higher-power cooling fans, higher capacity radiator (not included on 5.0l v8 engine), and towing capability up to 11,100 lbs. Includes 3.55 electronic-locking rear axle, 4-pin and 7-pin wiring, class iv trailer hitch receiver, pro-trailer backup assist, integrated trailer brake controller, upgraded front stabilizer bar, tailgate led, upgraded rear bumper, 36 gallon fuel tank, higher-power cooling fans, higher capacity radiator, and max towing capability of 13,200 lbs. Includes lane-keeping system, 360 degree camera with split-view display, dynamic hitch assist, and active park assist. Includes 3.73 electronic locking rear axle, 9.75 inch gearset, upgraded springs and auxiliary transmission oil cooler, 36 gallon fuel tank, 17 inch silver steel heavy duty payload package wheels, lt245/70r17e bsw all-terrain tires, and increased gvwr to 7,600 lbs. Includes vehicle with standard equipment, power-folding power heated side view mirrors with led integrated turn signals and security approach lamps, body-color mirror caps, auto-dimming driver's side view mirror, blind spot information system (blis) with cross-traffic alert, and trailer tow monitoring with blis sensor in led taillamp, reverse sensing system, remote start system, remote tailgate release, 3 driver memory for drivers seat, mirrors and power-adjustable pedals, one 110v/400w outlet (two with bucket seats), and universal garage door opener. Includes 18 x 7.5 inch chrome pvd wheels with 265/60r18 bsw all-season tires, chrome door handles, silver mesh grille with chrome bars, chrome side steps, chrome single-tip exhaust, and chrome mirror caps. Includes 18 inch chrome-like pvd wheels, 265/60r18 bsw all-season tires, two-bar style chrome grille w/ two minor bars, silver painted surround, and black background mesh, chrome door and tailgate handles, body-color bezel on side doors, black bezel on tailgate, chrome single-tip exhaust, and chrome step bars. Includes lane-keeping system, lane departure warning, automatic high beams, rain-sensing wipers, and adaptive cruise control with collision mitigation. Includes 20 x 8.5 inch chrome pvd wheels with 275/55r20 bsw all-season tires, accent wheel lip moldings, bright belt moldings, chrome door handles with body-color strap, chrome front and rear bumpers, chrome mirror caps, and tailgate applique. Includes 20 x 8.5 inch premium tarnished dark painted wheels, 275/55r20 bsw all-season tires, black running boards, headlamps with dark housing, body color grille w/black mesh insert, unique bodyside and hood decals, unique single-tip exhaust, unique fender and tailgate badging, unique console top, unique interior finish on i/p and doors, unique special edition seats with red accent, and unique steering wheel. Includes 18 x 7.5 inch six-spoke machined-aluminum wheels with magnetic painted pockets, 265/60r18 bsw all-season tires, accent-color step bars, black mesh grille with body-color bars, body-color door handles, body-color front and rear bumpers, body-color front fascia and wheel lip moldings, box side decal, chrome single-tip exhaust, unique interior finish, and bucket seats with flow-through console and floor shifter. Includes 20 inch machined-aluminum wheels with flash gray painted pockets, 275/55r20 bsw all-season tires, black mesh grille with body-color surround, body-color front fascia, body-color front and rear bumpers, stx sport box side decal, fog lamps, electronic rear window defroster, privacy glass, unique black sport cloth upholstery, manual driver and passenger lumbar adjustment, seat back driver and passenger map pockets, sync 3 enhanced voice recognition communications and entertainment system with 911 assist and applink, apple carplay, android auto, 8 in. Lcd touchscreen in center stack, and two smart charging usb ports. Includes 18 x 7.5 inch six-spoke machined-aluminum wheels with magnetic painted pockets, 265/60r18 bsw all-season tires, accent-color step bars, black mesh grille with dark-painted bars, body-color door handles, body-color front and rear bumpers, body-color front fascia and wheel lip moldings, box side decal, chrome single-tip exhaust, unique interior finish, and unique sport cloth 40/console/40 seats with flow-through console and floor shifter. Includes vehicle with standard equipment, cruise control, am/fm radio, single-cd player, four speakers, 4.2 inch productivity screen with compass in instrument cluster, sync enhanced voice recognition communications and entertainment system with 911 assist, 4.2 inch lcd display in center stack, applink, and smart charging usb port, and xl power equipment group with front power windows, power door locks, flip key and integrated key transmitter keyless entry with autolock, power tailgate lock, perimeter alarm, illuminated entry, manual-folding power glass side view mirrors with black skull caps, and mykey. Includes vehicle with standard equipment, adaptive cruise control w/ stop-and-go and pre-collision assist w/ pedestrian detection, tailgate step with tailgate lift assist, and technology package with lane-keeping system, 360 degree camera with split-view display, dynamic hitch assist, and active park assist. Includes vehicle with standard equipment, "ford" tailgate applique, 10-way power driver and passenger seats, passenger seat power lumbar adjustment, heated front seats, leather seating surfaces, power-adjustable pedals, power sliding rear window with privacy tint and defrost, and sync 3 enhanced voice recognition communications and entertainment system with 911 assist, applink, apple carplay, android auto, 8 inch lcd touchscreen in center stack, 4.2 inch productivity screen in instrument cluster, two smart charging usb ports, compass and clock display. Includes vehicle with standard equipment, 20 inch machined-aluminum wheels with light caribou painted pockets and wheel ornaments with caribou king ranch logo, 275/55r20 bsw all-season tires, tailgate step, tailgate lift assist, power-deployable running boards, automatic high beam headlamps with rain-sensing windshield wipers, blis (blind spot information system) with sensor in tail lamp, cross-traffic alert, multi-contour driver and passenger seats w/active motion, and inflatable rear safety belts. Includes vehicle with standard equipment, fixed backlight with privacy glass and defroster, 10-way power driver and passenger seats with power lumbar adjustment, heated front seats, 4.2 inch productivity screen in instrument cluster, auto-dimming rearview mirror, leather-wrapped steering wheel, reverse sensing system, power-adjustable pedals, rear under seat storage, manual folding, power glass side view mirrors with heat, turn signals, and black skull caps, class iv trailer hitch with smart trailer tow connector and 4-pin/7-pin wiring, remote start system, siriusxm satellite radio with 7 speakers,sync 3 enhanced voice-activated in-vehicle connectivity system including 8 inch center stack touch screen with swiping and pinch-to-zoom capabilities, compass, clock, 911 assist, applink, apple carplay, android auto, and two usb charging ports, and xlt chrome appearance package including 18 inch chrome-like pvd wheels, 265/60r18 bsw all-season tires, chrome billet style grille with chrome surround and black mesh insert, chrome door handles with black strap, chrome single-tip exhaust, and chrome step bars. Siriusxm u.S. Satellite service is available in the 48 contiguous united states and d.C.
Includes vehicle with standard equipment, blis (blind spot information system) with cross-traffic alert (blis sensor in led taillamp), remote start system, remote tailgate release, reverse sensing system, quad beam led headlamps and led taillamps, automatic high beam lights with rain-sensing windshield wipers, heated windshield wiper park, led fog lamps, led side mirror spotlights, power folding, power glass side view mirrors with heat, turn signals, memory, auto-dimming feature on drivers side, high-intensity led security approach lamps, one 110v/400w outlet (two with bucket seats), universal garage door opener, power tilt and telescoping steering column with memory, heated steering wheel, heated and cooled leather-trimmed bucket seats, 10-way power driver and passenger seats, memory driver seat, flow-through console with floor shift, b&o play premium single-cd player, hd radio, sync connect (door lock and unlock, schedule specific time for remote start, locate parked vehicle, and check vehicle status using compatible smart phone), siriusxm satellite radio, voice-activated touchscreen navigation with pinch to zoom capability, with siriusxm traffic and travel link with five years of service in the 48 contiguous united states and d.C., and lariat chrome appearance package including 18 inch chrome-like pvd wheels, 265/60r18 bsw all-season tires, chrome angular step bars, chrome door handles with body-color bezel, chrome single-tip exhaust, chrome skull caps on exterior mirrors, and chrome three-bar style grille with chrome surround and chrome mesh insert. When two-tone paint is selected, front and rear chrome bumpers are replaced with front and rear accent-color bumpers, and standard body-color wheel lip moldings are replaced with accent-color wheel lip moldings. Includes vehicle with standard equipment, 10-way power driver and passenger seats, passenger seat power lumbar adjustment, heated and ventilated front seats, front seat memory settings, leather seating surfaces, power-adjustable pedals with memory, power tilt and telescoping steering column with memory settings, heated steering wheel, ambient lighting, dual-zone electronic automatic temperature control (deatc), power sliding rear window with privacy tint and defrost, "ford" tailgate applique, power folding and power glass exterior mirrors with heat, turn signals, drivers side auto-dimming feature, led spotlights with high-intensity led security approach lamps, body-color skull caps, and memory settings, led box lighting, intelligent access, push-button start, remote start system, remote tailgate release, universal garage door opener, advanced security pack with securilock passive anti-theft system (pats) and inclination and intrusion sensors, blind spot information system (blis), cross-traffic alert, and trailer tow monitoring (blis sensor in taillamp), 360 degree camera, pro trailer backup assist, 4.10 front axle with torsen differential, integrated trailer brake controller, b&o play premium single-cd audio system, hd radio, siriusxm radio, voice-activated navigation system with siriusxm traffic and travel link, sync connect, and sync 3 enhanced voice recognition communications and entertainment system with 911 assist, applink, apple carplay, android auto, 8 inch lcd touchscreen in center stack, 4.2 inch productivity screen in instrument cluster, two smart charging usb ports, compass and clock display. Pinch-to-zoom capability included with navigation system. Siriusxm traffic and travel link include a 5 year prepaid subscription in the 48 contiguous united states and d.C.
160. Available feature. Don’t drive while distracted. Use voice-operated systems when possible; don’t use handheld devices while driving. Apple CarPlay is available on 2017 models with SYNC 3; owners of 2016 models with SYNC 3 are required to perform a software update and purchase a hardware upgrade through your dealer. Not available on 2016 model year Transit. Requires phone with compatible version of Apple iOS and active data service. SYNC 3 does not control Apple CarPlay while in use. Apple is solely responsible for their functionality. Message and data rates may apply. Apple, Apple CarPlay, iPhone, Apple Maps and Siri are trademarks of Apple Inc.
170. SYNC Connect includes service for five years from the vehicle sale date as recorded by the dealer. The Wi-Fi hotspot includes a trial subscription of three months or three gigabytes – whichever comes first. After the trial subscription, a wireless service plan is required for the Wi-Fi hotspot. FordPass™ is available on the App Store® or Google Play™. Message and data rates may apply. App Store is a service mark of Apple, Inc. Google Play is a trademark of Google, Inc. Wi-Fi is a registered trademark of the Wi-Fi Alliance®.